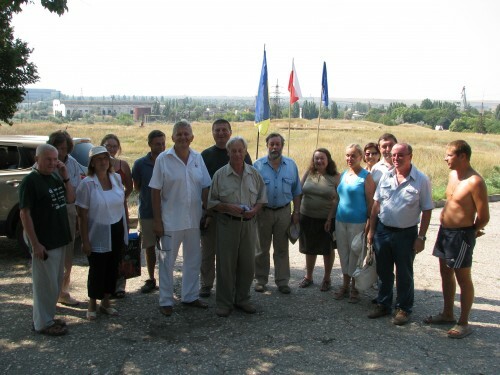 The archaeological campaign of 2009 lasted from the 23rd of July till the 26th of August. Polish Participants: Alfred Twardecki (head of the project), Marcin Matera (IA UW), Inga Głuszek (IA UMK at Torun), Wiesław Małkowski (IA UW), Bartosz Wojciechowski (IA UW). Ukrainian Participants: Aleksiey Zin'ko (archaeologist), Leonid Ponomariov (drawer), Mark Kotin (drawer). Physical work was executed by 37 local workers. During the 2009 campaign, 5 squares (6, 8, 12-14), 135 m2 in total, were uncovered. Essential works were conducted in the 5 squares, 125 m2 in total, investigated in 2008. 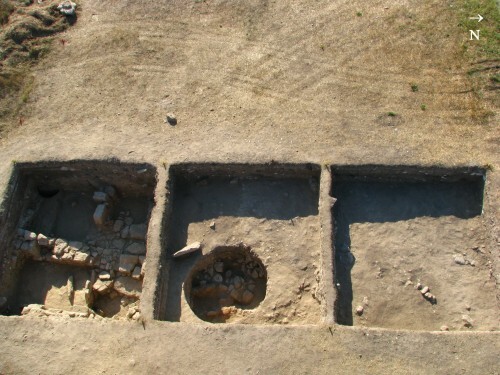 In agreement with the director of the Polish mission, archaeology students from the Archaeological Institute of the University of Odessa were allowed to open a test trench, measuring 35m2, in square 7. This activity was a part of their summer internship at the site of Tyritake. The total surface of the area investigated by the Polish mission amounts to 295 m2. Apart from the bulk material, 90 small finds were found. 23 of them (coins, fragments of brooches, stamped pottery handles, terracotta mask, adorned ceramic, bullet, metal objects, loom weights) were deemed valuable enough to be included in exhibitions and were handed over to the Kerch Museum. In the first stage of excavations, the works concentrated on squares 6 and 8. 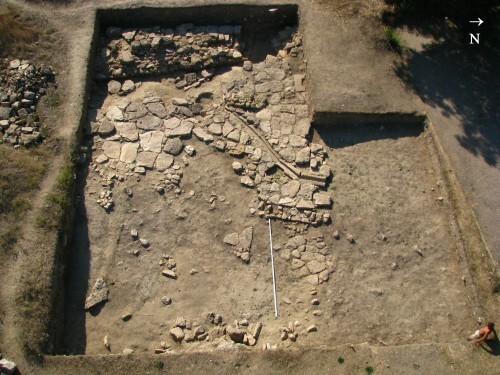 In square 6, after going down to the level of the stone slab paving, reached in the previous year, no undisturbed cultural layers were identified. No interesting archaeological material was encountered. The hypothesis that the area of squares 3 and 6 was levelled during the construction of an asphalt road and a parking in the 70s was thus strengthened. 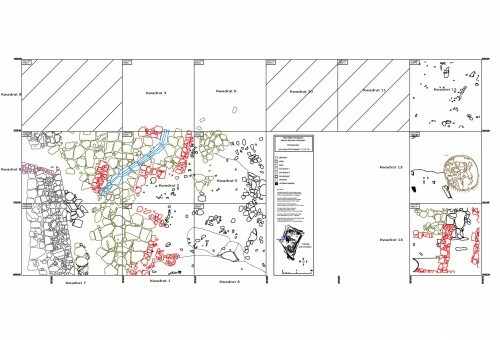 This conclusion was crucial in choosing the area for archaeological investigation for the 2009 and future campaigns. 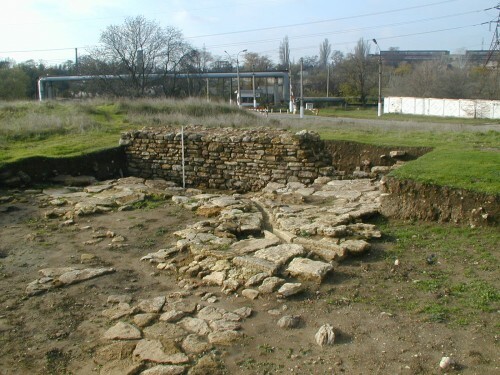 Well preserved fragments of the western defensive wall of Tyritake were unearthed in square 7. This discovery has confirmed the assumption that the investigations carried out during the previous season led to identifying Trench XIV opened by prof. Gaidukevich. The exploration of this trench was interrupted by the events of War World Two, and its exact localization was uncertain due to the incomplete state of documentation and changes in the topography of the site which occurred during the war. After making this discovery and discussing the issue with the Ukrainian partners, it was decided to establish squares 8 and 9 and to unearth further fragments of the wall in square 8, together with the stone paving and the canal, partly uncovered in square 2 last year. 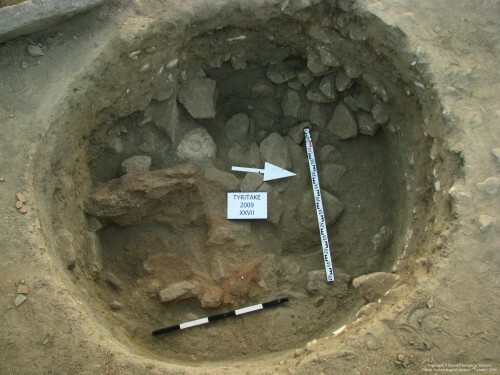 These aims were achieved within the first two weeks of the excavations. Since the state of preservation of the wall was exceptionally good, the Ukrainian partners have decided to conserve and restore it before the end of the year. Whilst cleaning the construction in square 8, remains of a well-preserved wall (probably a part of a house) and traces of paving, which existed before the erection of the defensive wall, were discovered. This discovery constitutes a valuable contribution of the Polish archaeological mission towards the research of the defensive system of Tyritake in the archaic period. It necessitates a reconsideration of the current understanding of the western side of the defensive system of the settlement. This will be one of the main aims of the future campaigns. Some interesting archaeological material (mainly ceramics) was found in square 8 by the end of the excavations, when, whilst cleaning the trench for conducting photographic documentation, an undisturbed cultural layer was discovered. The material can be dated provisionally to he 6th-5th c. BC. After making these discoveries whilst exploring squares 6, 7 and 8 it was decided to determine the limits of the old trench XIV. The initial aims of the Polish mission, i.e. identifying the location of trench XIV and unearthing the fragment of the western defensive wall (almost 10m) from the archaic period in order to conserve and reconstruct it, were achieved. The aim for the next stage of investigations is to unearth the part of the town located in between trench XIV and XXVI, what will allow studying a sizeable chunk of the ancient settlement, from its western to the eastern border. This will enable creating the first archaeological park in Ukraine, which will show the remains of edifices of the ancient Greek town and allow its exploration. In order to achieve these aims, squares 10 to 14, located away from trench XIV, were established, and the exploration of squares 12 to 14 was begun. The results of the investigation of squares 3 and 6 (see above) allowed concluding that the exploration of squares 10 to 11 is, as for now, unnecessary. The first stage of exploration of the three squares mentioned above was extremely arduous and unproductive, since it was necessary to go through an approximately 0,5m thick layer which was created as a consequence of destroying concrete barracks erected here in the 1930s. 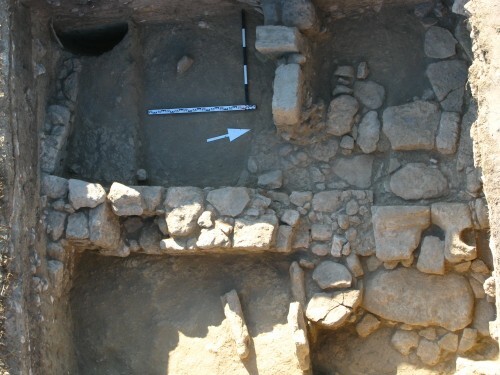 In square 12 no undisturbed cultural layer was reached before the end of the excavations. In square 13, at the level of 17,55 (0,69 m below the modern ground level), traces of a hollowed cavity, the exploration of which lasted till the end of the current campaign. This feature proved to be a dug-out hut with a clay stove. The exploration of the dug-out hut was completed at the level o 16,5 m, which allows establishing that the original depth of the structure was over 1m. The character of the construction, as well as the finds unearthed within it, allow concluding that this hut belongs to the Saltovo-Mayak culture (which can be probably linked with the Khazars), dating to the 8th-10th c. AD. These conclusions, however, are only provisional and they need further corroboration. 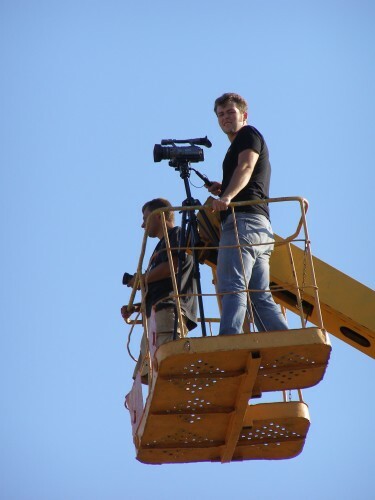 In square 14 the investigation was begun at the level of 18.33m and terminated at 16.69m. Remains of a stone construction, dating to either the Roman or late Antique period, were unearthed. These ruins were provisionally identified as remains of a house with a courtyard and stairs leading to a cellar. Definite identification, however, requires further investigation in the area adjacent to square 14 (the construction extends beyond its borders). One of the unearthed steps was made out of a reused fragment of a stone latrine or amphorae-holder. Irrespectively of the final identification of this object, it is a very important and relatively rare item. 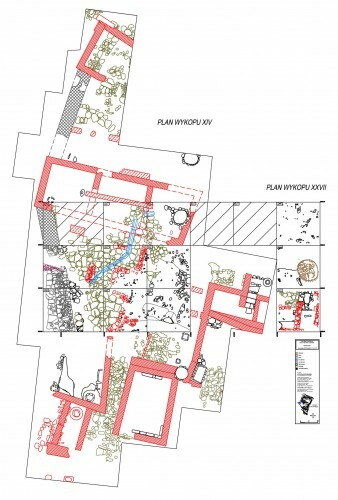 The analysis of the plans of Trench XIV, bordering on the west side, allowed concluding that prof. Gaidukevich unearthed a very similar construction in the 1930s. 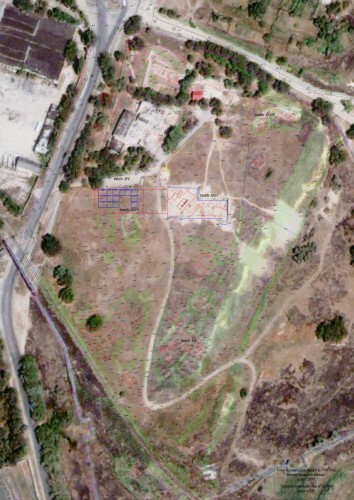 It can be therefore assumed that in the 2009 the Polish mission began uncovering buildings belonging to the residential part of the settlement. This allows one to hope to make important discoveries in the future years. 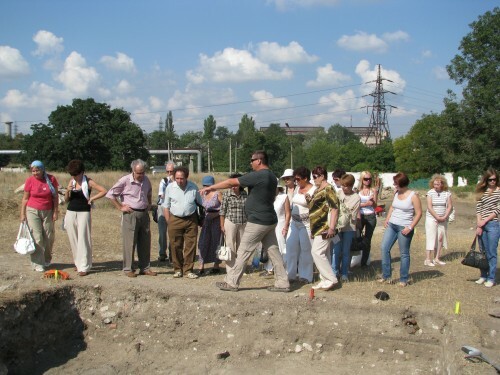 The efforts of the Polish mission aroused interest amongst archaeologists working in other parts of the region, the Polish Ministry of Foreign Affairs as well as the inhabitants of the Crimea. 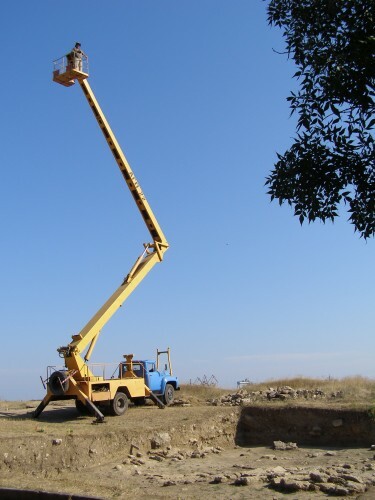 Consequently, during the 2009 campaign the site was frequently visited and featured in various media, which informed about the project run by the National Museum in Warsaw in the area of Tyritake and in the Crimea. Most importantly, the site was visited by the participants of the conference devoted to the aspects of conserving archaeological sites of the Crimea, and by Aleksandra Hnatiuk, cultural attaché of the Polish embassy at Kiev. Amongst the delegation of the conference participants were the leading Ukrainian scholars, including prof. Kryzhitsky and prof. Krapivina, members of the Ukrainian Academy of Sciences, based in Kiev, as well as Russian academics, including dr. Aleksandr Butyagin and dr. Olga Sokolova from the Ermitage. Prof. Hnatiuk familiarized herself not only with the archaeological site, but also with the entire program of cooperation between the National Museum in Warsaw and the Kerch Museum. She has positively evaluated the up-to-date works, which was expressed during a press conference held in Kerch, and during a private conversation with Mrs. Natalia Gauchenko, the head of the Kerch Museum. The 2009 campaign can be thus assessed as very successful, not only in scientific terms, but also as means of developing the cooperation between the two involved museums and strengthening the links between the societies of Poland and Ukraine.